I have an economy class ticket from JFK on Sept 20 to Vienna. Is it possible to change the class online, or I have to come to the airport. By the way, I'll be in some other airports, not JFK, at the end of August, can I change the class somewhere else, except JFK? They arrive at T8. You can meet them at T1 or T8 arrivals hall. My mother is coming from Morocco to T1 then T3 to MCO. I'm Planing to meet with her at T1. can I go inside T1 to help her with luggages and translation? You can only go to arrivals hall and pre security area at T1. Yes you have plenty of time. How can i transfer form terminal 3 to terminal 1? On an air train on track 2. I am assuming he is arriving on AeroFlot. Then my answer would be T1 arrivals hall. 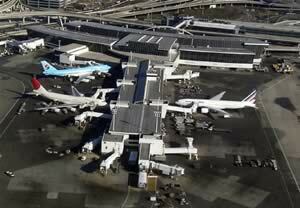 I will arrive at JFK on 22th June at 16.30 to terminal 1 and then I have to cath a plan from terminal 5 at 21.45, how can I get from T1 to T5 which train or bus should I take? 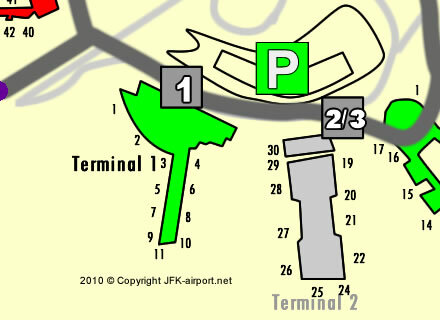 Thank you, there is somewhere on the site the hole picture of all terminal just to see the distance drom T1 to T5?